Aksys Games have today unveiled Shifting World, currently in development by Fishing Cactus for the Nintendo 3DS. 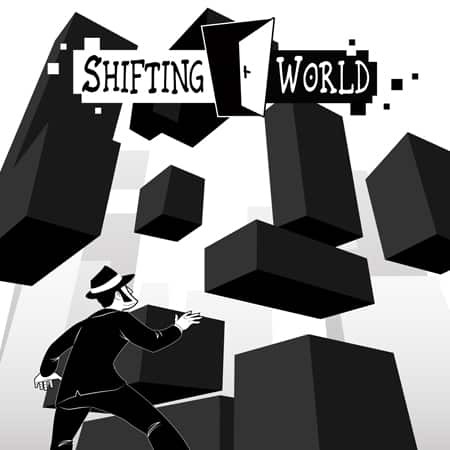 Shifting World is a puzzle-platform title based upon the award winning Shift series, which has been played by over 16 million players across the web. Players will be required to shift the world between black and white, as they use such an ability to overcome the game’s obstacles and find their way out of the room. You’ll be able to switch between 2D and 3D visuals with a button providing innovative puzzle ideas, as you make your way through Adventure, Bonus and Time Attack modes. This Nintendo 3DS version will be the first in the series to hit consoles, and is set to introduce an all-new art direction, stereoscopic 3D, level editor, and “a level generator of awesomeness” that works by taking photos of DataMatrix bar codes using the Nintendo 3DS camera. Shifting World is due to release in 2012 for Nintendo 3DS across North America, with no word as yet on a European release.